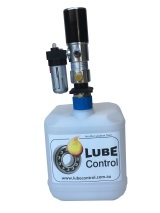 We are a company supplying the quality lubrication products AUSTRALIA WIDE. We endeavour to provide you and your company lubrication solutions. At Lube Control we have 4 major lubrication related divisions: 1. Lubricants 2. Automatic Lubrication Systems 3. Fluid Handling Equipment 4. More Lubrication: includes oil storage systems, oil sampling, remote greasing equipment, breathers, level gauges and spill containment. Our comprehensive range of “Fat Adder” Remote Grease Lines will provide easy and safe greasing. 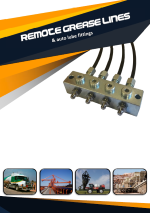 Our Remote Grease Lines are a standard for Automatic Lubrication Systems too. FEATURED PRODUCT: 20L pneumatic air drum pump and accessories Gearbox Contamination Control! 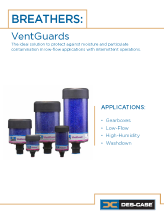 Use our Des Case Vent Guard Desiccant breathers with a 3 micron filter. Make maintenance easy with our 20L Air Drum Pump, and many accessories – read more… Des Case Breathers. Ideal for gearboxes and high humidity areas.